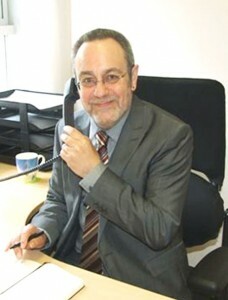 Tony Pettitt has taken the newly created role of Director of Resources at Reading Buses. The new position replaces that of Finance Director and reflects Tony’s wider skill base as well as recognising the abilities of the current Reading Buses finance department, which will now be led by Karen Borton, a qualified accountant. Karen has been promoted to the new role of Reading Buses Chief Accountant responsible to Tony Pettitt. Tony first became involved in public transport when he worked for Dyfed County Council in the 1980s. He worked in consultancy for Berkshire County Council before becoming a founder member of Transept, the Theale based transport consultancy. Five years ago, he set up his own company, Carnmenyn Consulting. It is in this capacity that he twice stepped in to assist Reading Buses when they were in between appointments, with the most recent stint leading to this new role. He will be closing down his own company to enable him to take up a full time appointment with Reading Buses from September.